Pro Cycling Manager puts you in charge of absolutely every element of the sport, from piecing together the lightest two wheeled machines imaginable to dictating race strategy out on the road. With 40 playable teams and over 1000 riders to choose from, the in-depth management options are as deep as an alpine ravine. Then, once you´ve developed a strategic master plan and trained your squad to the very limits of human endurance, a stunning 3D race engine brings the entire cycling season to life in eye catching beauty. 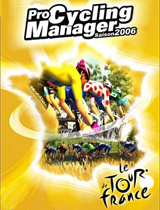 From snowy mountain passes to the cobbled magnificence of the Champs Elysees, Pro Cycling Manager is a management game that looks as good as it plays. You participate in the true Tour de France 2007 and take part in all of the season´s big competitions.